HomeCopyrightFair useCRC12 / CRC13The present of copyright – where are we now with copyright reform? 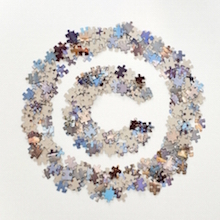 The present of copyright – where are we now with copyright reform? In advance of tomorrow’s event on the future of copyright, I thought I’d write a few words about where we are now with copyright reform in Ireland and the EU. The twin legislative bases for Irish copyright law date from the turn of the millennium: the Copyright and Related Rights Act, 2000 (also here) and the EU Copyright Directive (Directive 2001/29/EC on the harmonisation of certain aspects of copyright and related rights in the information society; the InfoSoc Directive). In Modernising Copyright, in October 2013, the Copyright Review Committee recommended various changes to the 2000 Act to adapt it better for the digital age. The EU Commission is moving towards making recommendations with a similar aim. In January 2012, the EU Commission began a consultation process on reform of the InfoSoc Directive (SEC(2011) 1640 final) (11 January 2012). In parallel, it considered copyright licensing, intermediary responsibilities (notice and action) and private copying levies (pdf). Although the probable conclusions of the consultation process were leaked in 2014, they were never formally published. Among their number seems to have been a recommendation that the exceptions to and limitations on copyright provided by the InfoSoc Directive should be harmonized at a European level, so that every state should provide for the same exhaustive exceptions and limitations. I had mixed feelings about this. On the one hand, this would have been good for copyright users, who could make greater use of copyright works. On the other hand, it would have prevented competition between members states to attract inward investment from information technology companies on the basis of a more attractive copyright policy than that available in competing member states; (this was the basis on which, in Modernising Copyright, the CRC recommended that all of the InfoSoc exceptions and limitations be incorporated into Irish law). Moreover, I was dismayed that the list of exceptions and limitations would be exhaustive and closed, without the possibility of a safety value to take account of technological developments. I was, on balance, relieved, when the new EU Commission, which took office at the end of 2014, undertook to revisit copyright reform, as part of its the Digital Single Market. Its Digital Single Market Strategy for Europe (SWD(2015) 100 final (pdf)) promised a great deal on copyright. However, as part of the Commission’s implementation of its Digital Agenda, it seemed likely earlier this year that the Commission would focus only on three issues: (1) geo-blocking (on which it is now conducting a public consultation), (2) the role of ISPs (on which it is conducting yet another public consultation), and (3) a possible exception for content mining (in Modernising Copyright, the CRC did not address geo-blocking, and left the role of ISPs to the then-ongoing notice-and-action consultation, but made a comprehensive recommendation in favour of a content-mining exception). If the failure to realise the ambition of 2012-2014 was unfortunate, then the complete lack of ambition in this approach was much much worse. (iv) the definition of the rights of ‘communication to the public’ and of ‘making available’ (in Modernising Copyright, the CRC recommendations relating to linking and marshalling covered this ground). There will plainly be a pretty deep engagement with exceptions and limitations, but it seems likely that the basic structure of the InfoSoc Directive in this respect will remain unchanged. There is significant debate about the scope of flexibilities permitted by it (contrast Senftleben and Hugenholtz with Rosati and Ramalho), about the CJEU’s ongoing development of autonomous conceptions of EU copyright law (eg, Case C-201/13 Deckmyn -), about the interpretation of the Directive in light of countervailing fundamental rights (eg, Case C-314/12 UPC Telekabel Wien ), and about other applicable international norms. There is scope here for these strands to be woven together into flexibilities with exceptions and limitations at national level (compare the Dutch experience, and see the CRC’s recommendations in Modernising Copyright relating to innovation and fair use) as well as at European level. Whether or not existing national and EU law can accommodate such a safety valve, nevertheless, if the current EU process is going to address the exceptions, and whether or not it harmonizes them, then it must include a safety valve to take account of technological developments.